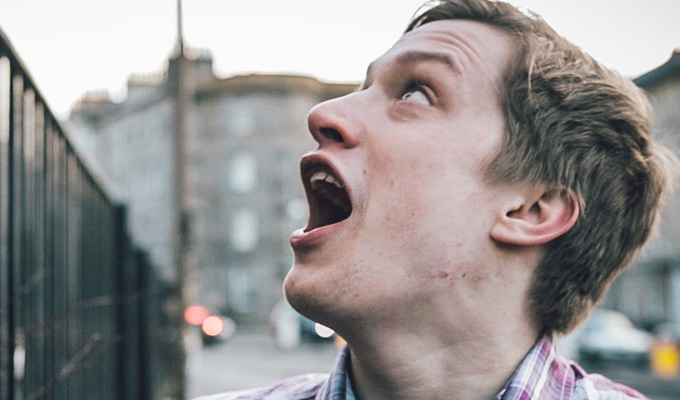 MUFF, the new independently-made sitcom from Daniel Sloss and others, certainly wears its intensity and its peculiarities on its sleeve. The first two minutes are a dizzying whirl of knowing in-jokes, a bloody zombie apocalypse, and camp 1960s Batman-style 'Ker-Pow' stingers, all in the name of an obtuse set-up about the brain-corroding powers of bad TV. Certainly MUFF is unlike anything you'll see on mainstream telly. Not just because of the industrial-strength swearing, but because it doesn't play by the rules. Not all the insanity works, but the sheer number of ideas certainly means it's unpredictable. The tone is outlandish and noisy, not least because of the number of wildly overacting comedians in the cast. And the tangled script – by Sloss and Kai Humphries – does, eventually, settle into something resembling a narrative, albeit a screwed-up one, which helps you attune to its fever pitch. Turns out the zombie-slayer from the first scene, played by Stephen K Amos, is the future Lawrence… and if the very obvious logical inconsistency in that troubles you, MUFF is probably not going to be for you. So we backtrack to when Lawrence, a student disillusioned with television, gets a job with bizarre production company, MUFF, which churns out offensively bland tat at an unfeasibly fast rate. Fellow stand-up Tom Stade, and plays company boss JP, a fervent, sometimes gun-wielding, psychopath, leading a staff that includes JoJo Sutherland as the even more unhinged Hillary and Joe McTernan as super-camp ladies' man Theo. 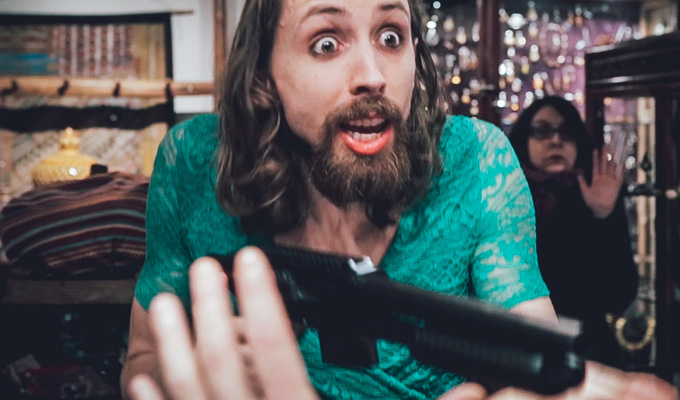 Circuit-familiar comics pop up in all manner of supporting roles, too: Eric Lampaert as a polite, cross-dressing armed robber in Episode Two is certainly a stand-out. To attempt to explain more would be counter-productive; just know that this is a wild, outrageous, rock-and-roll style of comedy, which ain't always pretty but which loves to revel in its excesses. If this were the States, MUFF might find a home on Adult Swim, the anarchic late-night sibling of the Cartoon Network that's long been a home for the weird and the wonderful. Here, who knows where it will lead? But it's certainly such stuff as cults are made of.